Sorry, all the Lindt Giant Carrots have been harvested! Keep an eye out for our next giveaway. The Easter bunny may be speedy at delivering chocolates, but we’ve beaten him to it this year: we have 1,000 FREE Lindt Giant Carrots to give away with your next order, full of mini Lindt Bunnies and more. 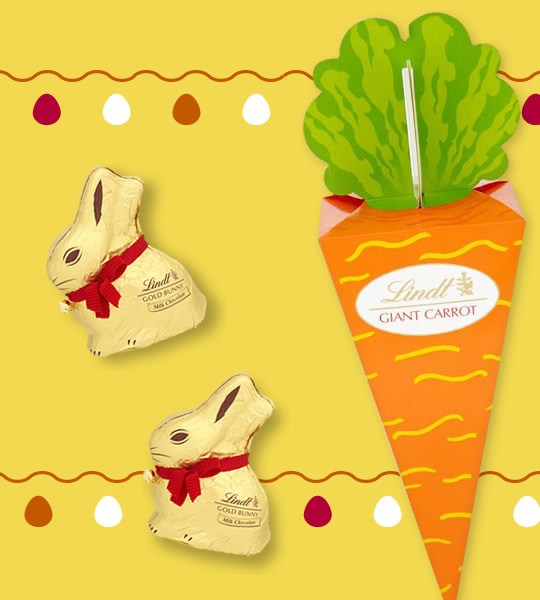 Presented in a cute carrot-shaped box, the Lindt Giant Carrot contains a selection of mini Easter-themed chocolates. Give it as a gift, hide it at an Easter egg hunt – or look innocent when everyone asks where that box of chocolates went! Follow this link and add the product to your trolley. Place an order worth £40 or more, for delivery before Friday 10th April. Add the voucher code VOU7276526 as you check out. We’ll deduct the cost for the first 1,000 customers to redeem it. We also have more great Easter offers, from Easter eggs to Sunday roast essentials. Visit our Easter Shop to grab some great deals. This entry was posted in Talking Ocado and tagged Chocolate, Easter, Easter Eggs, Freebies, giveaway, Lindt by Ocado. Bookmark the permalink. Out of stock free Lindt Carrot. What a tease. I love chocolate too!